Scientists around the globe are conducting intense research to understand what causes muscle dysfunction in Duchenne muscular dystrophy (DMD) and to apply that understanding to the development of effective treatments. Since inception, MDA has dedicated over $209 million to DMD research, with over $45 million of that investment coming in the past five years alone. The research efforts of thousands of scientists over the course of decades has resulted in many promising leads for potential therapies, some of which are currently being evaluated by the FDA for approval. In DMD, the muscle is missing a key structural protein called dystrophin, making it more susceptible to injury. Eventually the body can’t keep up with repair, which leads to muscle loss and weakness. Scientists therefore are working hard on the development of a number of complementary therapies that could replace dystrophin, protect the muscle from injury and/or promote muscle repair and regrowth. Doctors hope that someday these potential therapies may be used in combination for maximum benefit. Many examples of these potential therapies already have advanced into clinical trials where they are being evaluated for benefits in people with DMD. See the DMD Clinical Trial Feed for a list of clinical trials currently being conducted for DMD. MDA also has created a dedicated DMD Clinical Research Network that aims to advance human clinical trials in this disease. Gene therapy, or gene transfer, refers to the delivery of genes as therapeutic agents. It is being developed in a wide range of disease areas because it has the potential to deliver healthy replacement genes to anyone with a gene mutation, or to deliver adjunct genes (sometimes called “surrogate” gene therapy) that can alleviate disease symptoms. For gene therapy in DMD, a primary goal is to deliver a replacement copy of the dystrophin gene. Scientists hope that by introducing a functional dystrophin gene, gene therapy may offer a more permanent benefit than other therapies, but they are quick to caution that gene therapy for DMD is unlikely to completely halt or reverse the disease. To accomplish gene transfer in DMD, some researchers aim to utilize the action of viruses. A virus works by inserting its own genetic material into a host, which causes the host’s cells to manufacture viral proteins and create more virus (and in doing so, elicits an immune response that makes the host “sick”). But researchers believe it may be possible to swap out the viral genes for a dystrophin gene, which will trick the virus into delivering the dystrophin gene to people with DMD where the person’s muscle cells will use it to manufacture dystrophin protein. To accomplish this without making the patient sick, scientists are utilizing viruses that do not cause illness in humans. Research into the development of gene therapy for DMD is robust, but some challenges remain. The key difficulties researchers are working to overcome include dealing with the large size of the dystrophin gene, delivering a sufficient quantity of the new genes to muscle (while avoiding other tissues), and avoiding an unwanted immune response to the proteins made from the new genes. The large size of the dystrophin gene poses a challenge because gene therapy relies on engineered viruses, and there is a limit to the size of the load that these viruses can carry. To address this, MDA-supported scientists have created smaller, but still functional, versions of dystrophin to use in gene therapy. Mini-dystrophin (rAAV2.5-CMV-minidystrophin) is a miniaturized, working dystrophin gene that has been tested in boys with DMD. At the end of clinical testing, scientists determined that the treatment was safe, but unfortunately some of the boys experienced an unwanted immune response to the dystrophin protein. This immune response prevented the newly synthesized mini-dystrophin protein from being used properly by muscle cells, and thereby limited the effectiveness of this approach. Several research groups are now working toward the development of an even smaller version of dystrophin, called micro-dystrophin. Micro-dystrophin contains the minimum amount of information from the dystrophin gene needed to produce a functional protein. The most advanced of these therapies, rAAVrh74.MCK.Micro-Dystrophin, is being developed by a team at Nationwide Children’s Hospital and currently is undergoing phase 1 clinical testing in boys with DMD. To address delivery of genes specifically to muscles (while avoiding other tissues), researchers have introduced a muscle specific promotor that functions like a control switch for the new dystrophin gene. Muscle specific promoters selectively promote activation of the gene in the muscle, but in other tissues the gene remains dormant so it cannot create unwanted side effects. Researchers led by Dr. Jerry Mendell are developing gene therapies that are activated by the muscle-specific promotor muscle creatine kinase (MCK). Potential therapies that utilize muscle specific promoters are currently in phase 1 clinical testing for DMD (rAAVrh74.MCK.micro-Dystrophin) and also phase 1-2 testing for LGMD (scAAVrh74.tMCK.hSGCA). Exon skipping is a strategy currently being developed for DMD (although it may have application to other genetic diseases down the line) in which sections of genetic code (exons) are “skipped,” allowing the creation of partially functional dystrophin, the muscle protein missing in DMD. Exon skipping is not a cure for DMD, but potentially could lessen the severe muscle weakness and atrophy that is the hallmark of this disease, making it more like Becker muscular dystrophy (BMD). Laboratory development of exon skipping began in the 1990s and has received significant funding from MDA since then. Exon skipping uses molecules called antisense oligonucleotides (AONs) to coax muscle fibers to ignore certain parts of the genetic instructions for dystrophin, thereby restoring the genetic "reading frame." To understand this better, think of the genetic code for a protein as a sentence. Cells have to read the genetic “sentence” in units of three “letters” each. Exon skipping is being tested in clinical trials in boys with DMD in the United States and in other countries. On Sept. 19, 2016, the U.S. Food and Drug Administration granted accelerated approval to eteplirsen (brand name Exondys 51) as the first disease-modifying drug for DMD. Exondys 51 specifically targets a section of genetic code called exon 51 in the dystrophin gene. It’s estimated that 13 percent of boys with DMD could benefit from skipping exon 51. For more, see Top 5 FAQs: Eteplirsen (Exondys 51) for DMD Treatment. Additional exon skipping drugs that could impact other forms of DMD are moving through the drug development pipeline. At this time, researchers currently are working on development of exon skipping drugs to target exons 44, 45, 50, 52, 53 and 55, as well as strategies to target multiple exons. In stop codon read-through, drugs target mutations known as premature stop codons (also called nonsense mutations), which tell the cell to stop making a protein — such as dystrophin — before it has been completely assembled. The drugs coax cells to ignore, or "read through," a premature stop codon in a gene. Between 5-10 percent of people with DMD have premature stop codon/nonsense mutations and may therefore someday benefit from read-through therapies. A company called PTC Therapeutics, in conjunction with Genzyme Corp., and with funding from MDA, developed an experimental stop codon read-through drug called ataluren to treat DMD or Becker muscular dystrophy due to a premature stop codon. In October 2010, PTC announced that a lower dose of ataluren appeared to work better than a higher dose. In a clinical trial, those on the lower dose walked an average of 29.7 meters (about 97 feet) more in six minutes than those in the high-dose or placebo groups (although all groups' walking distance declined over the course of the trial). Ataluren (Translarna), now owned wholly by PTC, will soon be evaluated by the FDA for approval in the US. It is currently available to DMD patients in the EU. Researchers at a company called Nobelpharma have developed another stop codon read-through therapy called NPC14. This potential therapy may function similarly to Ataluren and is currently undergoing clinical testing in Japan. A prominent symptom of DMD is loss of muscle, so researchers aim to develop therapies that promote regrowth of muscle and, in turn, increase muscle strength. One strategy that has received considerable MDA support involves inhibiting the actions of a naturally occurring protein called myostatin that limits muscle growth. In healthy muscle, myostatin performs an important role: it pushes back against growth signals to maintain muscle at a reasonable size. But in DMD, where muscle loss contributes to a decline in function, myostatin exacerbates the problem. Thus, researchers hope that blocking myostatin may allow DMD muscles to grow larger and stronger. Inhibitors of myostatin have received much attention from the neuromuscular disease research community since it was found years ago that people and animals with a genetic deficiency of myostatin appear to have large muscles and good strength without apparent ill effects. Initial efforts to develop therapies based on myostatin inhibition did not bear out. In 2008 a therapy called MYO-029 (developed by Wyeth) failed to meet its endpoint during a clinical trial of people with a variety of dystrophies, though not including DMD. Additionally in 2011, a DMD trial with ACE-031, which was developed by Acceleron Pharma, had to be discontinued due to safety concerns. Although these myostatin inhibitors were not successful, much was learned from these efforts. Currently, Pfizer is developing a myostatin inhibitor called PF-06252616, which is in clinical trials to test its effectiveness in DMD boys. Bristol-Myers Squibb is also developing a myostatin inhibitor drug, BMS-986089. This potential therapy is currently in a phase 1/2 study to determine its safety in DMD boys. In addition to these two potential DMD medicines, Eli Lilly (LY2495655), Regeneron (REGN1033) and Novartis (BYM338) are also developing drugs that inhibit myostatin, but these are being tested in clinical studies for their effects in cancer wasting (cachexia), sarcopenia and inclusion-body myopathy (IBM), respectively. Another unique strategy to block the action of myostatin uses gene therapy to introduce follistatin, a naturally occurring inhibitor of myostatin. Mice with a DMD-like disease that received genes for the follistatin protein showed an overall increase in body mass and weight of individual muscles. Furthermore, monkeys that received follistatin gene transfer had stronger, larger muscles. A gene therapy for delivering follistatin to people with DMD called rAAV1.CMV.huFollistatin344 is currently being developed by Milo Biotechnology. This potential therapy is now being tested in an early-stage (phase 1) clinical trial. Researchers are also exploring the possibility of inducing muscle growth in DMD patients through activation of androgen receptors using drugs called Selective Androgen Receptor Modulators (SARMs). Androgen receptors bind to testosterone and other steroids to induce muscle growth, but anabolic steroids cause many undesirable side effects. SARMs may offer a way to reap the benefits of muscle androgen mediated growth but with fewer side effects. The drug DT-200 is an oral SARM in development by Akashi Therapeutics, and has shown positive effects in early studies. Akashi next aims to study the safety of this compound in a clinical trial with healthy volunteers. Their long-term plan is to develop DT-200 for treatment of DMD. A second company called GTx Inc. also is developing SARMs for a variety of muscle wasting conditions, including muscular dystrophy and cancer. Their DMD program is in the preclinical development phase. In DMD, muscle is more susceptible to injury because it is missing the dystrophin protein. The muscle will continually work to repair itself, but will eventually fall behind. So scientists hope to accelerate repair by transplanting stem cells into DMD muscle. Stem cells are normally present in a variety of tissues, including muscle, where they play a crucial role in repair and maintenance. Stem cells can be thought of as cells that are in the very early stages of development, before they have become specialized (differentiated) to perform specific roles in tissues. They may be precursors to a specific cell type (such as muscle or nerve cells), or they may still retain pluripotency — the ability to develop into any of a number of different cell types. In adults and children, stem cells reside in muscle tissue where they remain dormant until the tissue is damaged by injury or disease. Following tissue damage, stem cells become activated and then serve to replenish the damaged tissues. For treatment of DMD, then, scientists hope that stem cells could someday be transplanted (from healthy donors) to grow new muscle. One type of stem cell that holds a lot of promise for transplant is called induced pluripotent stem cells (iPS cells). These cells are derived from adult cells in a process that was pioneered by Dr. Shinya Yamanaka’s lab in Japan. In 2012 he was awarded the Nobel Prize for this work. Building off of this breakthrough, MDA-supported scientists led by Dr. Radbod Darabi have demonstrated that human skin-derived iPS cells are able to differentiate into muscle and can be successfully transplanted into mice that model DMD. The mice are able to accept the new cells, and the cells produce the dystrophin protein. A team of MDA-supported scientists led by Dr. Rita Perlingeiro have invented and continue to refine a method to efficiently generate immature skeletal muscle cells from iPS cells. In addition, they have shown that, once transplanted, the cells integrate with existing skeletal muscle cells. Next, the team is working to determine the efficiency with which genetically corrected iPS cells can increase muscle regeneration in DMD mice. To ensure that stem cells grow to take on the proper architecture of a muscle, MDA-supported scientists led by Dr. Deok-Ho Kim are focused on developing materials that serve as scaffolds. Since muscle is a highly ordered tissue, with cells oriented in specific directions, these scaffolds may serve a critical purpose at the cellular scale to promote optimal growth of muscle in the most tissue-like patterns. In practice, the scaffolds are used for growing muscle from stem cells in the laboratory, which can then be transplanted into living organisms to replace damaged muscle. This work ultimately aims to generate a functional muscle patch capable of providing long-term muscle strength and regenerative capacity, and to improve symptoms in people with DMD. Stem cell transplantation remains a very promising approach for treating the muscle loss that occurs with DMD. Stem cells continue to be a major area of investigation for MDA-supported researchers. At this time, there are no therapeutic stem cell clinical trials being conducted in the U.S. in DMD. However, five trials (phases 1 and 2) are being conducted by researchers outside of the U.S., in the Middle East and Asia. In addition to stem cell transplantation, scientists are exploring the potential to use a more traditional drug approach to activate a patient’s own muscle stem cells. These muscle stem cells, called satellite cells because of their position next to muscle cells, naturally exist to perform muscle repair. Preliminary work by several MDA-supported labs has shown that satellite cells become activated following inhibition of enzymes called histone deacetylases (HDACs). In a mouse model of DMD, HDAC inhibition induces muscle growth, decreases inflammation and reduces fibrosis. Building off of this preclinical work, researchers at a company called Italfarmaco are developing an HDAC inhibitor called Givinostat. This potential therapy is currently being tested in a phase 2 clinical trial in Italy. MDA also has provided funding to support development of a protein known as WNT7a, which has been demonstrated to drive an expansion of the satellite stem cell population and facilitate muscle regeneration, resulting in significant functional improvement in preclinical models of muscular dystrophy. Based on these findings, a company called Fate Therapeutics is developing a drug-like compound base on WNT7a. This program is currently in preclinical development. DMD muscle is more susceptible to damage because it is missing dystrophin, a protein that sits at the muscle cell membrane and is critical for maintaining the muscle’s structural integrity. Thus, MDA supported scientists have devised a number of potential therapies that they hope will make DMD muscle more resistant to damage. One potential strategy is to compensate for the lack of dystrophin with a similar muscle protein, such as utrophin. Utrophin is a naturally occurring structural protein that closely resembles dystrophin and performs a very similar function in the muscle. A key difference is that utrophin is produced during development or early stages of repair of muscle, and then is turned off and replaced by dystrophin (except for the area around where the nerve meets the muscle, where utrophin continues to be present in adult tissue). But scientists believe that if utrophin production were turned back on, it may be able to compensate for the absence of dystrophin. MDA-supported scientists have identified a potential therapy that promotes production of utrophin protein in mice. This therapy, SMT C1100, increases strength and fatigue resistance in a mouse model of DMD. SMT C1100 is being developed by Summit Therapeutics and has completed phase 1 safety testing in DMD boys. Summit is planning additional clinical testing to determine the effectiveness of SMT C1100 in DMD. Summit also is developing a second generation utrophin upregulator therapy called SMT022357, which is currently in preclinical development. Another potential strategy to protect muscles from damage is to fortify DMD muscles using another naturally occurring structural protein called biglycan. Scientists reported in 2011 that systemically injecting the human form of biglycan into mice with a disease resembling human DMD improved the resistance of mouse muscles to contraction-related damage, restored several proteins to their normal location at the muscle-fiber membrane and, importantly, recruited utrophin to the muscle-fiber membrane. MDA has supported research by a company called Tivorsan that has developed an engineered version of biglycan called TVN-102 that could be injected into patients. Tivorsan currently is preparing to take TVN-102 into early-stage clinical testing. A third strategy to fortify DMD muscle is to introduce a different naturally occurring structural protein called Laminin 111. MDA has supported foundational research for this approach, where introduction of Laminin 111 was shown to improve exercise capacity and reduce muscle damage in a mouse model of DMD. Based on this work, a company called Prothelia Inc., in partnership with Alexion Pharmaceuticals, has developed an engineered version of laminin 111 called PRT-01. This potential therapy is currently in preclinical development for DMD as well as other dystrophies. Researchers also are exploring whether muscle integrity could be strengthened by introduction of an enzyme called beta1, 4-N- acetylgalactosamine galactosyltransferase (GALGT2) using gene therapy. GALGT2 is involved in adding sugar molecules to a protein called alpha-dystroglycan, which is part of a cluster of proteins located at the muscle-fiber membrane. This cluster is abnormal in DMD muscle and previous work by MDA-supported scientists has shown that raising GALGT2 levels in mice can help to compensate for the loss of dystrophin and protect muscle from damage. Since these findings were reported, GALGT2 gene therapy has been effectively delivered to calf muscles in macaque monkeys. Now, researchers at Nationwide Children’s Hospital aim to begin a phase 1 clinical study for GALGT2 gene therapy (rAAVrh74.MCK.GALGT2) for DMD in 2015. In addition to identifying proteins such as utrophin, biglycan, laminin 111 and GALGT2 that may fortify against the loss of dystrophin, scientists are exploring other methods for protecting muscles from damage. For example, MDA-supported scientists have identified a compound called Carmaseal-MD (Polaxamer 188 NF), which acts as a membrane sealant in a mouse model of DMD. In mice, this compound acts by filling the rips in the membrane that result from damage. The company that is developing Carmaseal-MD, Phrixus Pharmaceuticals, hopes to begin clinical testing in people with DMD in 2016. The repeated bouts of damage that occur in DMD muscle have been shown to eventually induce death (necrosis) of the muscle cells. Scientists believe that therapies which block the signals that contribute to cell death may one day be used to slow muscle degeneration and, in turn, loss of function. Researchers have reported that an enzyme called hematopoietic prostaglandin D2 synthase (HPGDS) may contribute to the necrosis of muscle cells in DMD. To prevent muscle cell death, an inhibitor of this HPGDS, TAS-205, is being developed by Taiho Pharmaceuticals. This compound was shown to reduce necrosis and improve running in a mouse model of DMD. TAS-205 is now in early-stage (phase 1) clinical testing in Japan. Scientists also have identified regulation of calcium in muscle as a potential strategy for therapeutic intervention. This approach is based on the fact that accumulation of calcium inside the cell, which is thought to happen in DMD, causes degradation of muscle proteins and triggers cell death. There is evidence that calcium does in fact play an important role in disease progression in DMD muscle, so several groups are investigating ways to ramp down accumulation of calcium in DMD muscle cells. For example, an MDA-supported company called ARMGO has identified a compound called ARM210 that restores the appropriate balance of calcium within muscle cells by correcting the activity of a type of channel called the ryanodine receptor calcium channel complex (RyR). RyR functions to keep calcium safely sequestered away inside the cell until it is needed, but in DMD this channel has been shown to be leaky. But in a mouse model of DMD, ARM210 corrects the calcium leak occurring through the RyR and improves daily activity, strength, muscle force, and muscle damage. ARMGO is continuing preclinical validation of ARM210 and aims to begin clinical testing soon. A second strategy to correct calcium accumulation in the cell is being developed by Akashi Therapeutics. The compound, called AT-300 (formerly GsMTx4), inhibits one of the channels that allows calcium to enter the muscle cell from the outside, called a stretch-activated calcium channel. AT-300 is based on a natural tarantula venom peptide, and acts to block calcium entry into muscle cells when they are being stretched. This compound is currently in preclinical development, but Akashi plans to bring it into clinical testing in the near future. During healthy muscle repair, inflammatory responses are activated and are known to aid in the cleanup and restoration of damaged muscle. In DMD, however, these inflammatory responses are chronically activated and therefore become detrimental to the repair process. 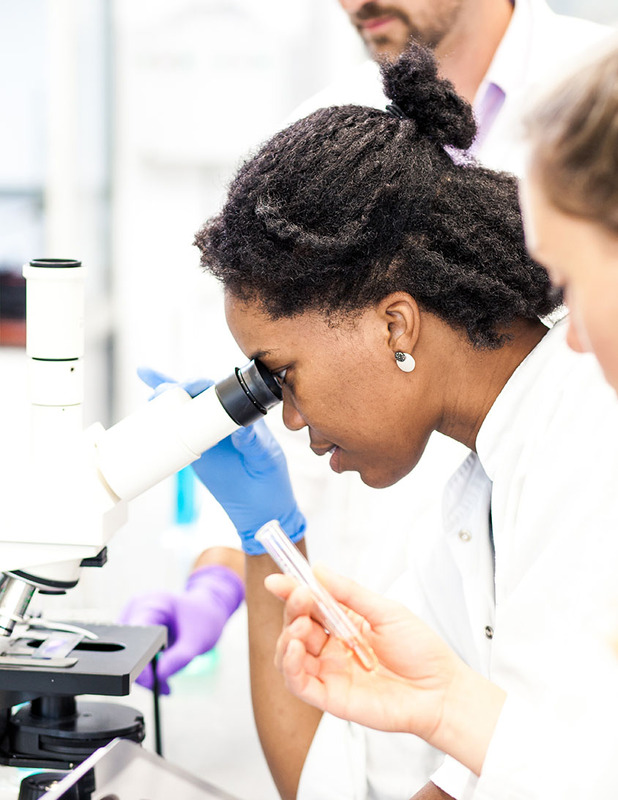 MDA-supported scientists therefore are working to understand and interfere with inflammation in and around muscle fibers that may contribute to the DMD disease course. Corticosteroids (such as prednisone) are commonly are used in DMD to help preserve muscle strength and function, to prevent scoliosis and to prolong the time that people with DMD can walk. It's thought that they work, at least in part, by reducing inflammation. However, corticosteroids also cause unwanted side effects such as increased appetite, weight gain, loss of bone mass and cataracts. The FDA on Feb. 9, 2017, approved deflazacort (brand name Emflaza) to treat DMD. For more, see FDA Approves Emflaza for Treatment of Duchenne Muscular Dystrophy. MDA has invested heavily in researchers who are working on developing new anti-inflammatory therapies that have fewer or less severe side effects than the corticosteroids currently in use. Many of these potential therapies are being evaluated in clinical trials. These include VBP-15, HT-100, CAT-1004, and deflazacort. VBP-15, made by ReveraGen BioPharma, is currently undergoing phase 1 safety study in healthy volunteers. HT-100, made by Akashi Therapeutics, is undergoing a phase 1-2 clinical study in DMD boys to determine whether it is both safe and effective. CAT-1004, made by Catabasis, will soon undergo testing in a phase 1 clinical study to determine its safety. Another anti-inflammatory therapy, called Idebenone (Raxone/Catena), is being developed by Santhera Pharmaceuticals. In clinical trials, Idebenone had a positive impact on a measurement of respiratory function (Peak Expiratory Flow, or PEF) in non-ambulatory DMD patients who were not taking steroids. Santhera has announced that it plans to apply for approval from the FDA for Idebenone in the near future. Additionally, there are earlier-stage development efforts, such as IMO-8400 that are being developed by Idera Pharmaceuticals. IMO-8400 employs a unique strategy: inhibiting Toll-like Receptors (TLRs), proteins that are inappropriately upregulated in a mouse model of DMD. Idera is currently preparing to take IMO-8400 into phase 1 clinical trials with a goal of developing this drug for DMD. As muscles degenerate in a person with DMD, the muscle fibers are replaced by fat and connective tissue in a process called fibrosis. Fibrosis is similar to scarring, and the presence of fibrotic tissue in muscle impedes proper function and repair. In fact, scientists have observed that the extent of fibrosis in DMD muscle tracks with diminished function. Thus, MDA-supported researchers are investigating whether muscle function might be protected by medications, termed anti-fibrotics, that reduce this fibrosis. In addition, scientists hope that reducing fibrosis also may help increase the efficacy of other potential therapies. MDA has invested almost $4 million into investigating the potential of such therapies. The most advanced drug in this class is currently being tested in a phase 2 trial — Akashi Therapeutics’ HT-100. HT-100 is a delayed-release formulation of halofuginone, a compound that has been studied for years for its effects on autoimmune and fibrotic diseases. Halofuginone exerts its effects by inhibiting the formation of collagen 1, a major component of fibrotic tissue. MDA has strongly supported preclinical and clinical work with this compound that continues to show promise. A second approach to reducing fibrosis is to introduce a peptide called angiotensin 1-7. In a mouse model of DMD, angiotensin 1-7 has been shown to reduce the formation of fibrotic tissue in muscle and also suppress some of the signals that have been implicated in the growth of fibrotic tissue. A company called Tarix Orphan LLC. is developing a therapy based on angiotensin 1-7, called TXA127. This therapy will undergo phase 2 clinical testing in 2016. A third approach is to target connective tissue growth factor (CTGF), a common mediator of fibrotic disease. MDA has supported foundational work demonstrating a benefit of inhibiting CTGF in a mouse model of DMD. This work showed that CTGF reduces the ability of damaged muscle cells to repair themselves and promotes muscle fibrosis, and that inhibiting CTGF reduces muscle fibrosis and improves muscle function. Based on this preclinical work, a company called FibroGen is now developing a CTGF inhibitor, called FG-3019. FibroGen has recently received clearance from the FDA to begin phase 2 clinical testing of FG-3019 in DMD. 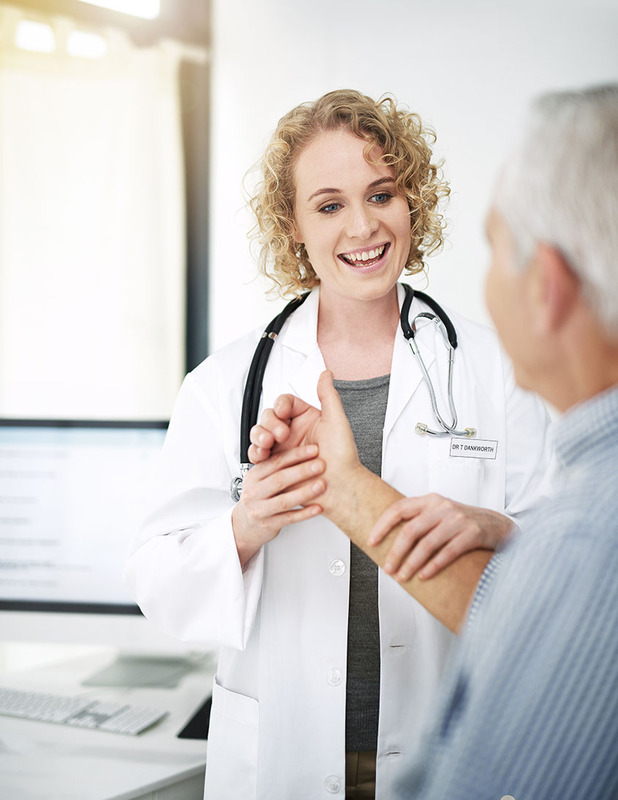 In addition, FG-3019 also has been tested in phase 2 clinical studies for idiopathic pulmonary fibrosis, where it was shown to reverse fibrosis in a significant number of patients. People with DMD experience inadequate blood flow to their muscles while exercising, which may contribute to fatigue and reduced performance. Thus, scientists hope that drugs that restore proper blood flow to muscles may benefit muscle strength and function. Experiments have shown that, when dystrophin is missing from the muscle fiber membrane, it causes another protein, known as nNOS, to be missing as well, and that this results in an inability of blood vessels supplying muscles to adequately dilate during exercise. When nNOS-deficient mice were treated with a phosphodiesterase inhibitor, which dilates blood vessels, their exaggerated fatigue response to exercise was eliminated. Phosphodiesterase inhibitors are a class of drugs that include sildenafil (Viagra) and tadalafil (Cialis), both used to treat erectile dysfunction and pulmonary arterial hypertension. On the basis of these and other findings, researchers have started investigating the possibility that phosphodiesterase inhibitors can improve muscle function in people with DMD or BMD. In 2010, an MDA-supported trial testing the effects of tadalafil on blood flow to muscles began in men with BMD. This study demonstrated that tadalafil could restore normal blood flow regulation after a single dose. Further study is ongoing to determine whether this effect will lead to improved muscle function in BMD. A later study conducted in DMD found that treatment with either sildenafil or tadalafil restores blood flow to muscles during exercise or rest in DMD patients. Additional clinical studies are planned to determine whether this increased blood flow will translate to increased muscle function in DMD. Of note, some research has focused on the effects of phosphodiesterase inhibitors on heart function in DMD and BMD. Unfortunately, a trial with sildenafil showed that it was unlikely to help heart function in these patient groups. A second study with sildenafil, which had enrolled a small number of participants, was in fact terminated due to concerns about the potential for negative impact on cardiac function in adults with Duchenne and Becker muscular dystrophy. Due to the small study size, questions remain about whether sildenafil is in fact unsafe for the BMD heart. Scientists also are exploring the effect of modifying blood flow in DMD and BMD muscle with nitric oxide. Nitric oxide is the product of an enzyme called nNOS (which is absent in DMD and BMD muscle) and works in a similar manner to the phosphodiesterase inhibitors described above. Naproxinod is a potential therapy in preclinical development by a French pharmaceutical company called NicOx. Naproxinod is a version of naproxen (Aleve) that has been modified to release nitric oxide into the body. This therapy has been tested clinically for arthritis and other indications, and has demonstrated promising effects in a mouse model of DMD. The hope is that this therapy could increase blood flow to muscles and reduce inflammation, both of which may help to improve the function of DMD muscle. Scientists in Italy are developing a combination therapy for DMD, using ibuprofen (a nonsteroidal anti-inflammatory drug) and isosorbide dinitrate (a nitric oxide donor). This combination therapy has undergone two clinical trials (named Isofen 1 and 2) to determine its safety and to establish the most effective dose of each drug. Additional clinical trials are planned to determine whether this combination has a beneficial effect in people with DMD. Finally, researchers from Cedars-Sinai Medical Center currently are studying the effects of sodium nitrate, a nitric oxide donor, in people with BMD in two separate clinical trials. The first trial is a phase 2-3 study to determine whether sodium nitrate improves blood flow to muscle, as the phosphodiesterase inhibitors have been shown to do. The second is a phase 1 clinical study to determine whether there is a functional benefit to muscle that results from treatment with sodium nitrate. DMD heart muscle, like skeletal muscle, is more susceptible to damage because it is missing dystrophin, an important structural component of the cell membrane. As a result, some patients may develop cardiomyopathy or heart damage that weakens the heart’s ability to contract (pump). More information about cardiomyopathy in DMD can be found here and here. Understanding and specifically treating dystrophin-deficient cardiomyopathy is a priority for MDA. The MDA DMD Clinical Research Network has made studying the natural history and treatment of this condition as a primary focus. In addition, MDA sponsored a meeting of more than 40 leading clinicians and researchers from the United States and Europe in January 2011 to discuss optimal clinical care of the DMD/BMD-affected heart. To address DMD-associated cardiomyopathy, researchers are aggressively pursuing a number of strategies to sustain or improve heart function. They're testing already existing medications for their possible benefits in the DMD affected heart, and also conducting research to find new approaches to specifically treat the dystrophin-deficient heart. Since a number of cardiomyopathy drugs have been developed over the years to treat heart failure in older patients, doctors already have some tools at their disposal for treating the DMD heart. These therapies center on ways of reducing the burden on the pumping heart. To that end, doctors may prescribe angiotensin converting enzyme inhibitors (ACE inhibitors) and angiotensin receptor blockers (ARBs) that make blood vessels open up wide and thereby reduce the resistance to the heart’s pumping action. Doctors may also prescribe diuretics to remove extra water from the blood, so that there is less volume for the heart to pump. Finally, doctors may prescribe beta-blockers to slow the heart rate, giving the DMD heart sufficient time to empty and refill with each beat so that it can pump blood more efficiently. Researchers are continuing to study existing drugs to determine the best regimen to preserve heart function in DMD. Currently, there are several clinical studies aimed at determining the best combination and dose to prevent decline of heart function. These include studies of the relative efficacy of the aldosterone receptor antagonist, spironolactone and eplerinone, which are diurectics. This is a phase 3 clinical study led by Dr. Subha Raman at Ohio State University. Prior work by this group demonstrated that treatment with eplerinone (along with ACE inhibitors or ARBs) slowed the decline of cardiac function in boys with DMD over the course of one year. Additional studies investigating the optimal drug regimen for slowing cardiac decline in DMD include a phase 4 study in Italy comparing the effects of carvedilol (a beta blocker) with Ramipril (an ACE inhibitor), and a phase 3 study in France examining the effects of nebivolol (a beta blocker). One promising and completely new therapy in development specifically for DMD is called CAP-1002 and is being developed by Capricor Therapeutics. CAP-1002 is a therapy based on cardiac stem cells (jump to stem cell transplantation) derived from donor heart tissue. Researchers aim to transplant these therapeutic stem cells into people with DMD with the hope that they will promote repair of the heart. Studies with CAP-1002 in a mouse model of DMD have demonstrated positive effects on the heart, and the company has since initiated a phase 1-2 clinical study to test the safety and effectiveness of CAP-1002 in boys and men with DMD. Another new therapy, called PB1046, is in development by PhaseBio Pharmaceuticals. PB1046 is an engineered version of Vasoactive Intestinal Peptide (VIP), a neuropeptide which has been shown to be ionotropic (increases contraction of the heart) and lusitropic (speeds relaxation of the heart). VIP has also been shown to prevent fibrosis and inflammation in cardiac and skeletal muscle. PhaseBio has reported that their engineered version of VIP, PB1046, slowed cardiac functional deterioration in two mouse models of DMD and showed positive safety data in a clinical trial with volunteers who had essential hypertension. PhaseBio plans to begin phase 1 clinical testing to determine the safety of PB1046 in people with DMD in 2016.